Transforming facial cleansing gel that melts away even the heaviest make-up and impurities. Apply to face and neck, morning and evening. Upon contact with the skin, this innovative facial cleansing gel transforms into an oil that melts away even the heaviest make-up and impurities. Water-activates into a silky milk that rinses skin clean. 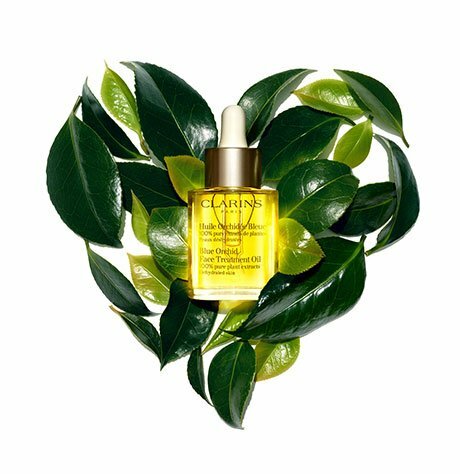 Formulated with Marula Oil for optimal radiance and comfort. *For informational purposes only. Every ingredient list is specific to an individual product reference. All formulas are subject to change. While we endeavor to keep this ingredient list accurate, we cannot guaranty that it is reliable, up-to-date, or error-free. Please also refer to the ingredient list on the product’s outer packaging for a complete, accurate, and up-to-date list. Apply to dry face and neck, avoiding eye area. Massage onto skin using gentle circular motions, moving from the center of the face outward. Add a touch of water and work into a milky lather. Rinse with cool water and follow with the Clarins Toning Lotion for your skin type. Purifying, alcohol-free toner for combination or oily skin that balances, soothes and visibly tightens pores. Extra-gentle, alcohol-free toner for dry skin that balances, softens and soothes. Gentle, alcohol-free toner for normal or dry skin that balances, softens and soothes. For heavy & waterproof eye make-up. Rated 5 out of 5 by Wendy from Wow Discovered this oil about 8 months ago and will not be without it. Makes your skin feel wonderful as it removes any make-up, dirt, etc. Love. Rated 5 out of 5 by ABCL from Best make up remover ever I tried this product with a sample I received. Now I'm on the 2nd full size! Can't live without! Remove my water resist eyeliner without any issues!!!! Highly recommended! Rated 4 out of 5 by Susanamantha from Please Bring back Extra Comfort Cleanser. 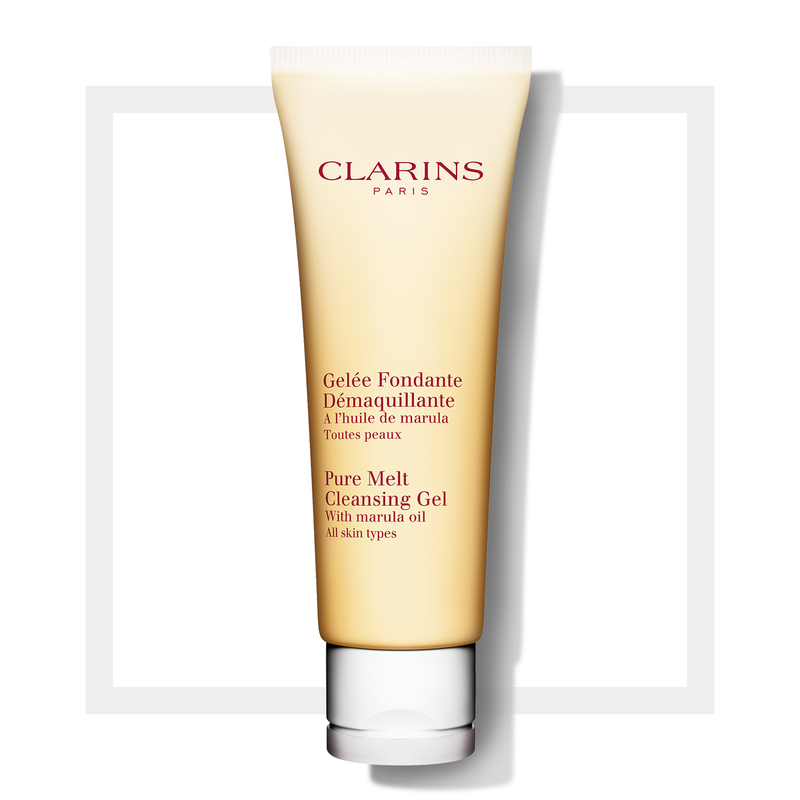 The Pure Melt Cleansing gel works pretty well at removing makeup but nothing works as well as the now discontinued Extra Comfort Cleanser. That took off all makeup easily. I still have a little bit left but save it for the days when I am wearing the heaviest makeup. Otherwise, I use the Cleansing Gel. I would pay double the price for my old favorite! Rated 3 out of 5 by leozpride from Not as a good as I had hoped This was my first experience with this cleanser as I normally opt for the Alpine milk cleanser. I have combination skin, that's very sensitive with slight rosacea. It took a little bit to get used to how to properly apply this cleanser. You put this on dry skin and it dissolves into an oil, then it turns into a milk when water is applied during the rinsing process. You have to break the cycle of wetting your face first. Overall, it feels great on my skin and it doesn't make my skin red, irritated or tight. However, I'm not 100% convinced that it works well in removing make-up, which is my primary goal. You definitely see leftover make-up when you do the toning step. Also, I feel as though I use more product than with other cleansers. Since the gels turns to an oil, you can easily feel the parts of your face that don't have cleanser. I end up adding a bit more, so I'm not sure if it's worth the price as it goes quickly. Rated 5 out of 5 by batgirl05iz from Great Cleanser This is one of the best cleansers I have found. It removes waterproof eye makeup gently and leaves your skin feeling clean and soft. Rated 4 out of 5 by Monique from Part of summer regime I love this cleanser as it appeals to all the senses. I tend to use it mainly during summer months or when I travel. It literally melts everything off so no need to hassle with eye makeup remover. During winter, I've always relied on the Extra Comfort Cleanser but unfortunately Clarins has discontinued it. This was one of their best products. This move has made me so angry that I'm now considering ending my loyalty to Clarins after nearly 20 years. Rated 4 out of 5 by ShannonK from Love this product Great facial cleanser and also has a wonderful scent. A must try! Rated 5 out of 5 by portlandjessica from Best Cleanser I've Every Used I love it. It removes my eye makeup entirely, leaves my skin feeling clean but not tight, and feels wonderful.